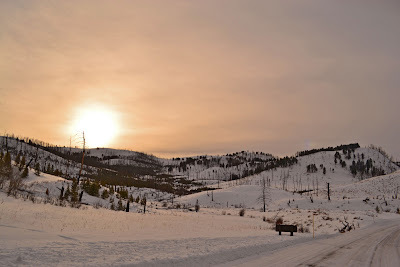 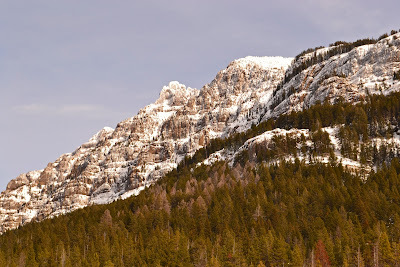 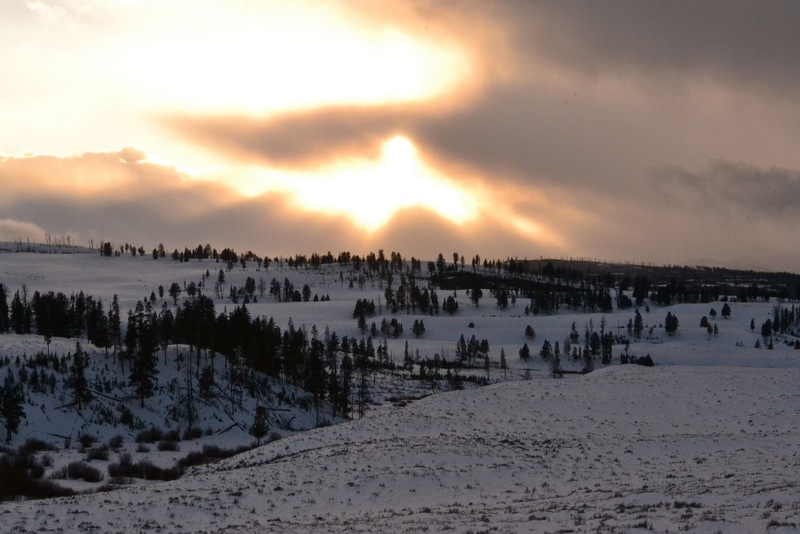 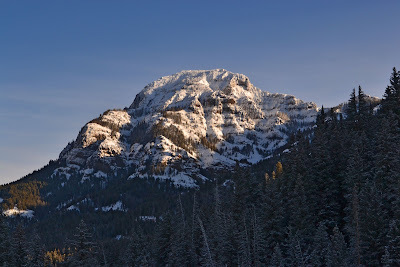 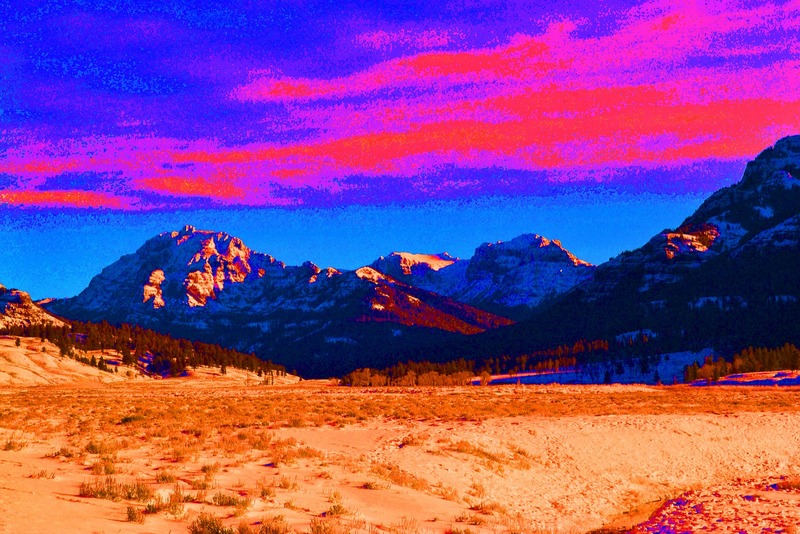 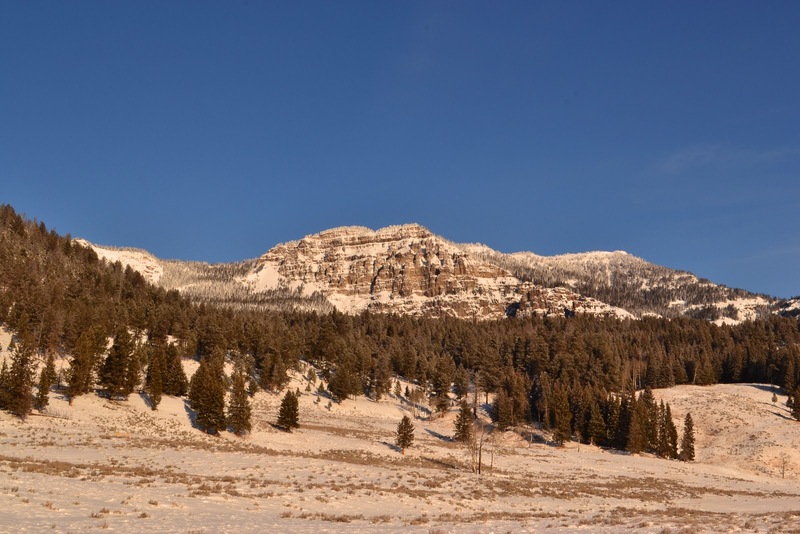 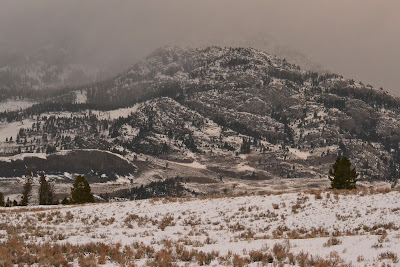 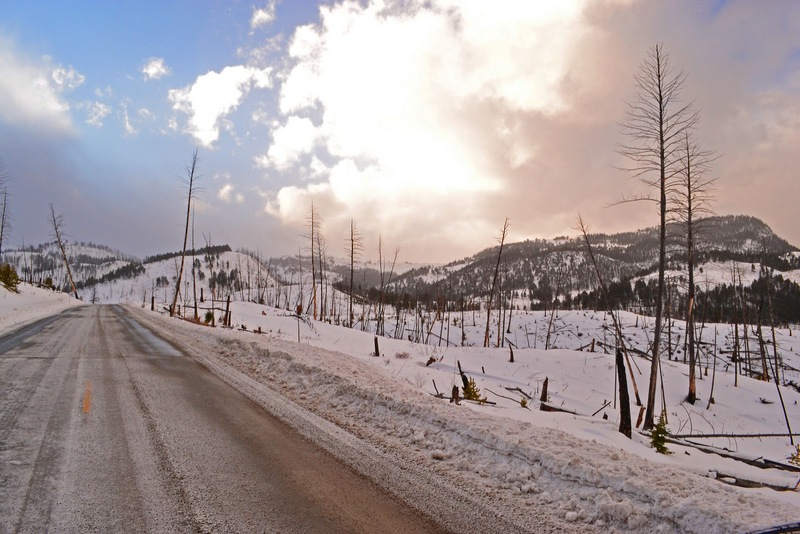 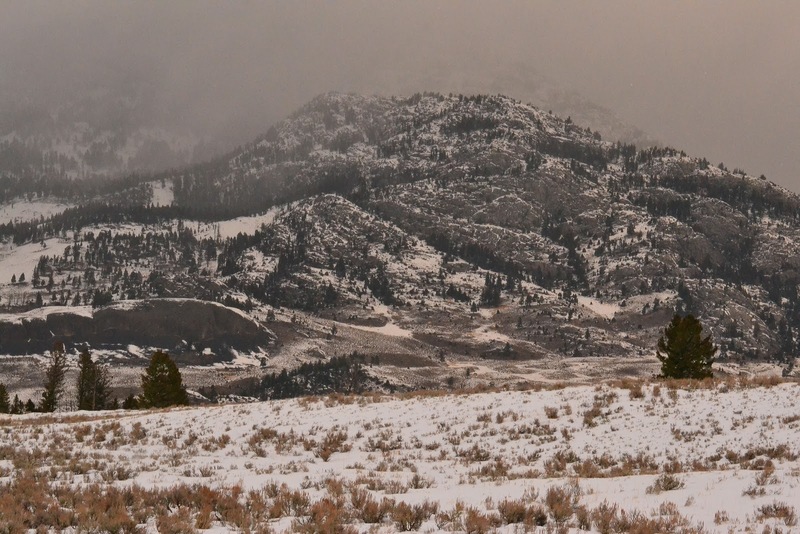 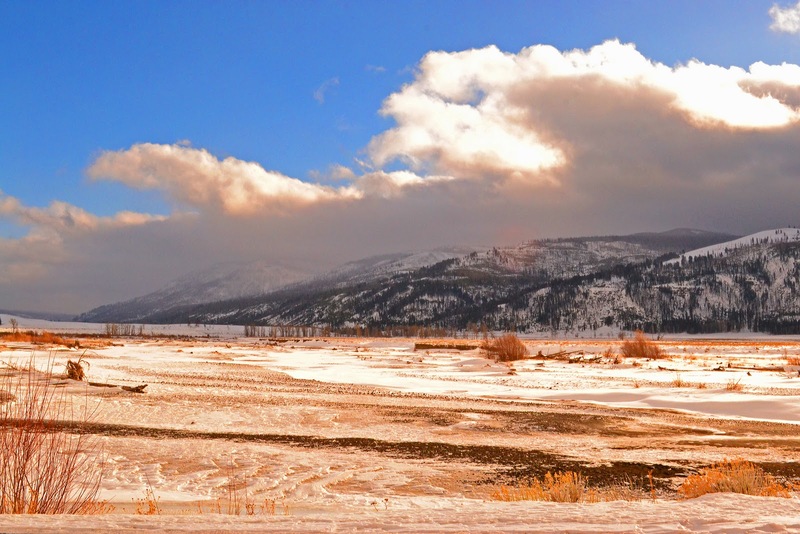 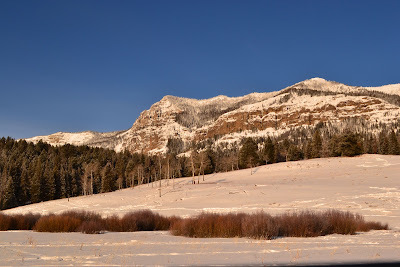 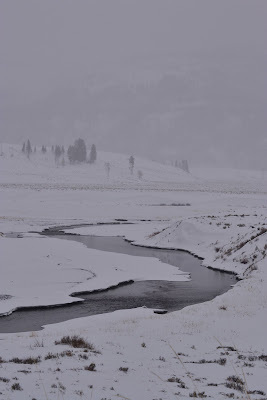 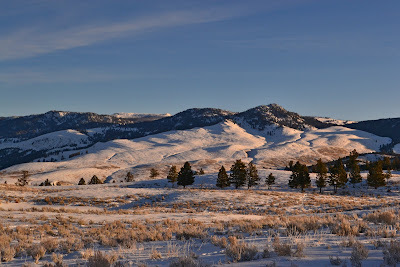 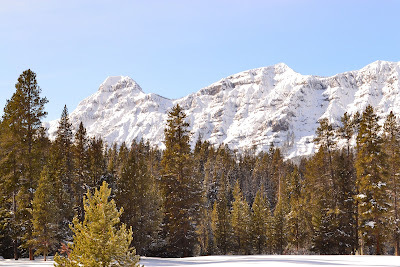 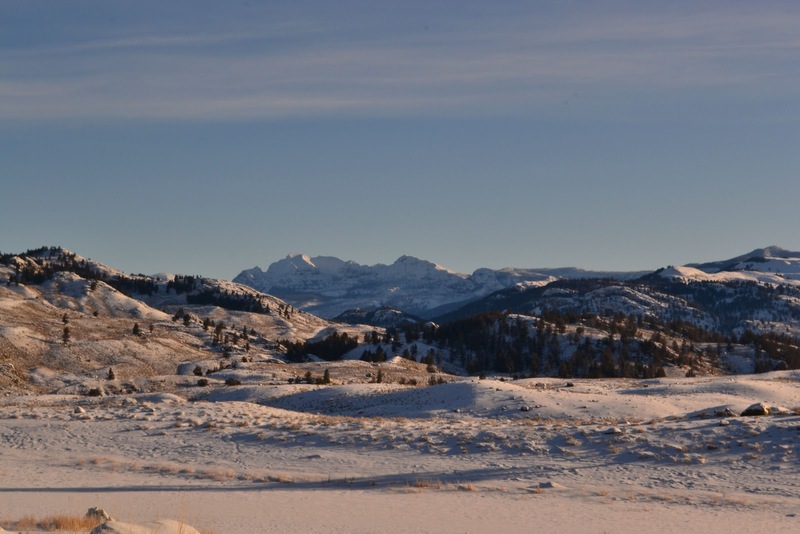 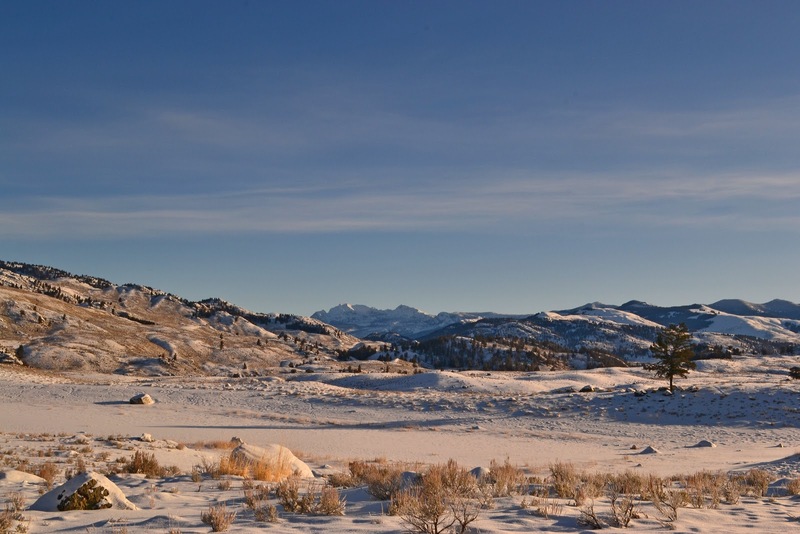 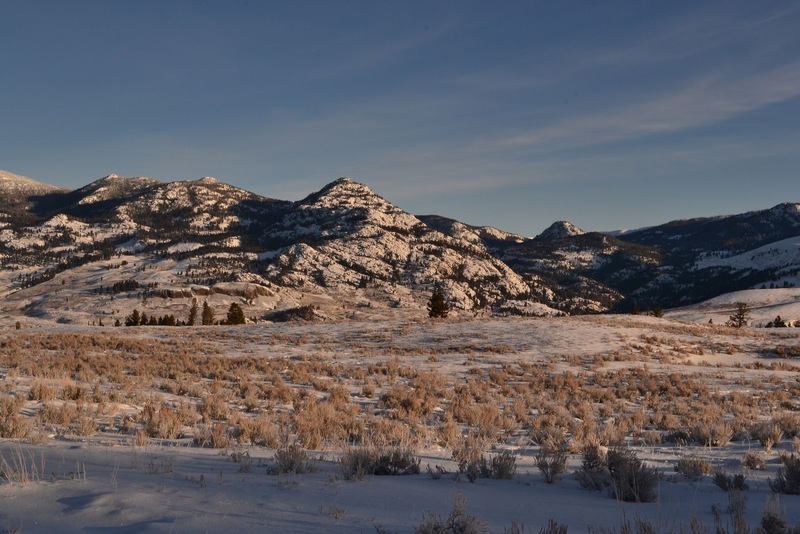 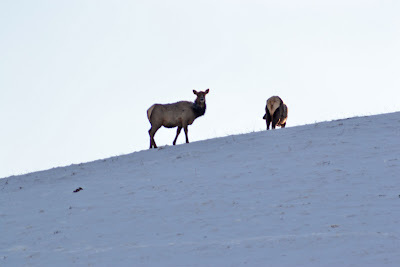 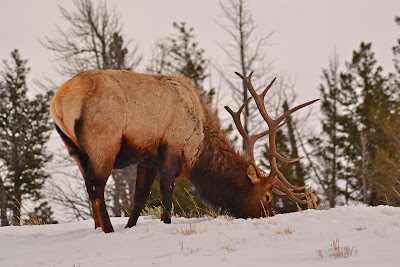 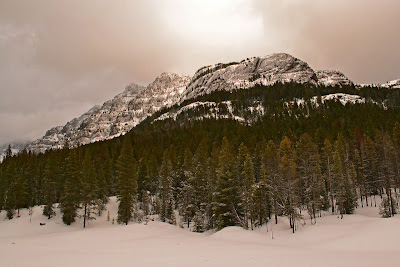 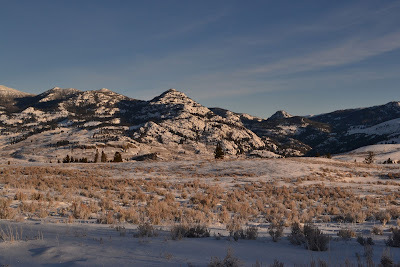 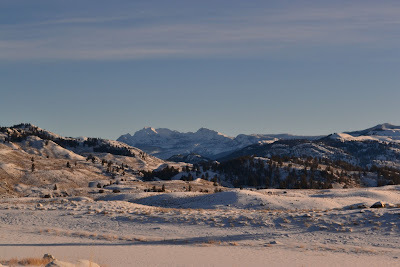 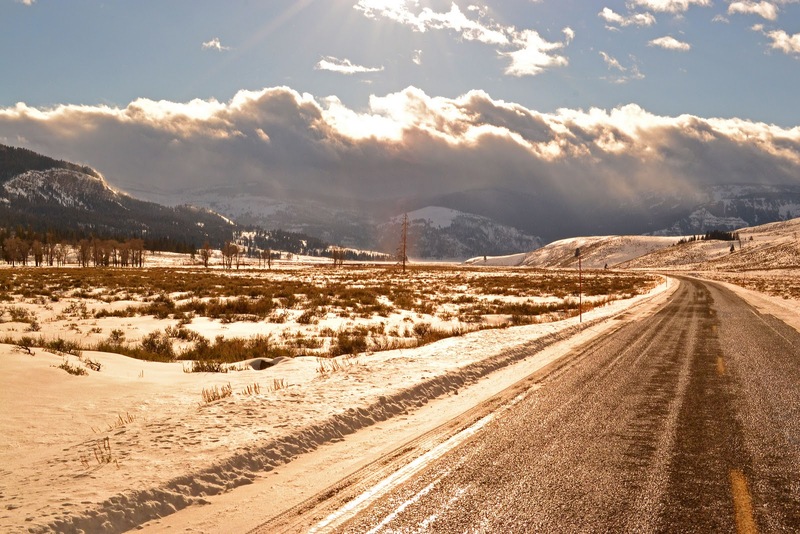 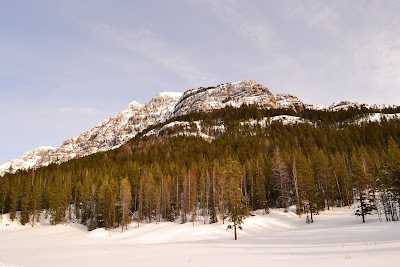 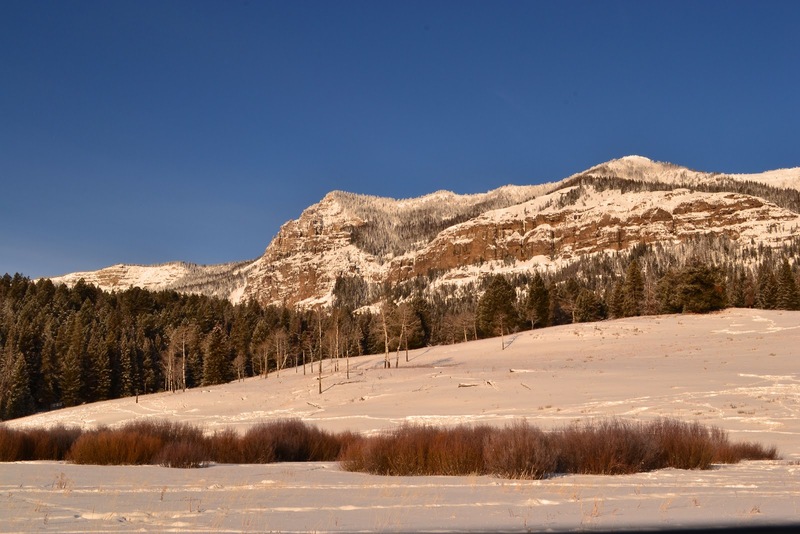 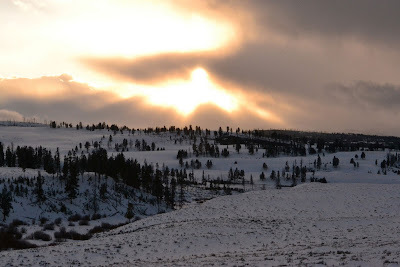 During the week, I take a daily drive from Mammoth Hot Springs in the northwest portion of Yellowstone National Park over to the northeast entrance of the park near Silvergate and Cook City. I like to call this part of the park the 'end of the world' as the road ends here. 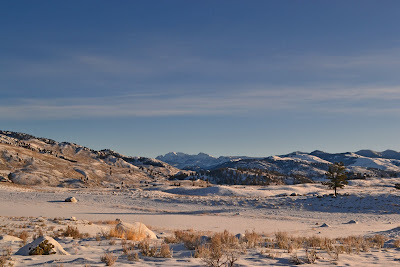 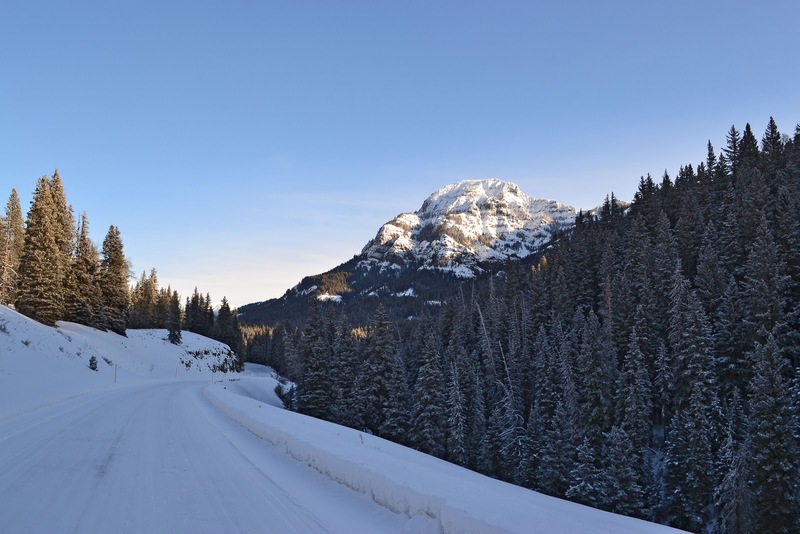 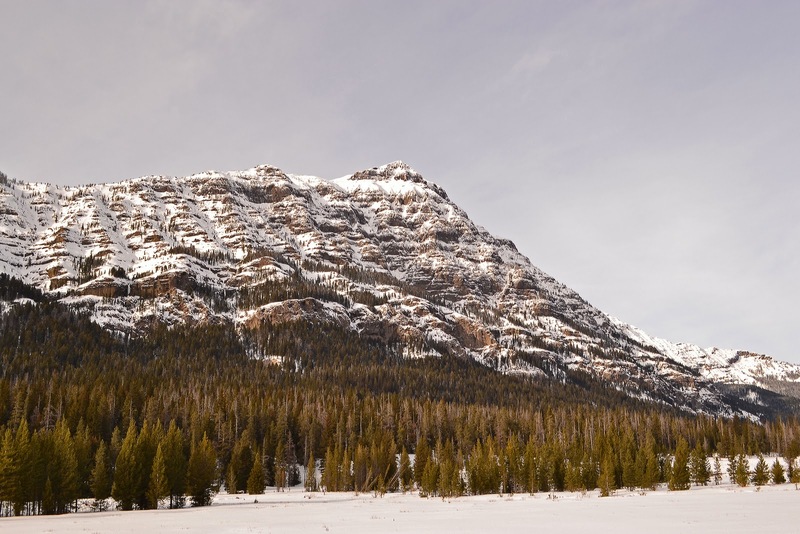 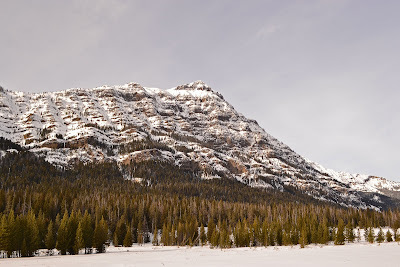 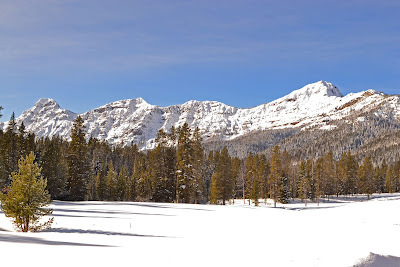 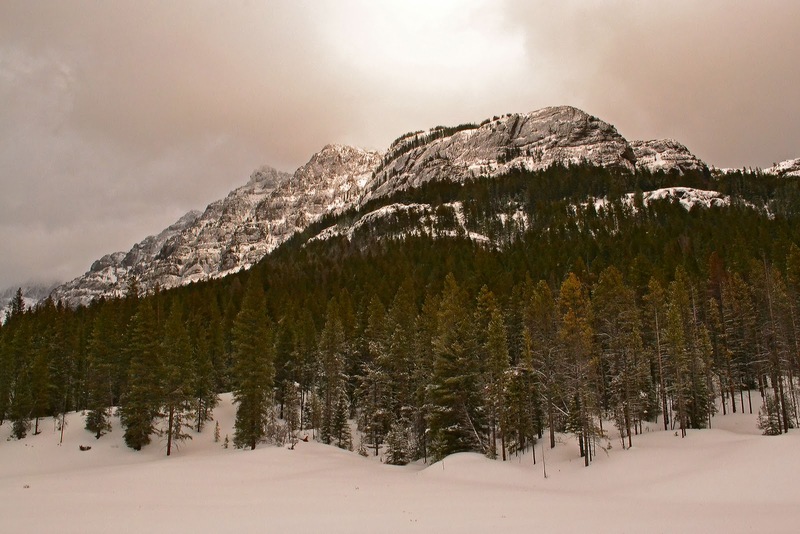 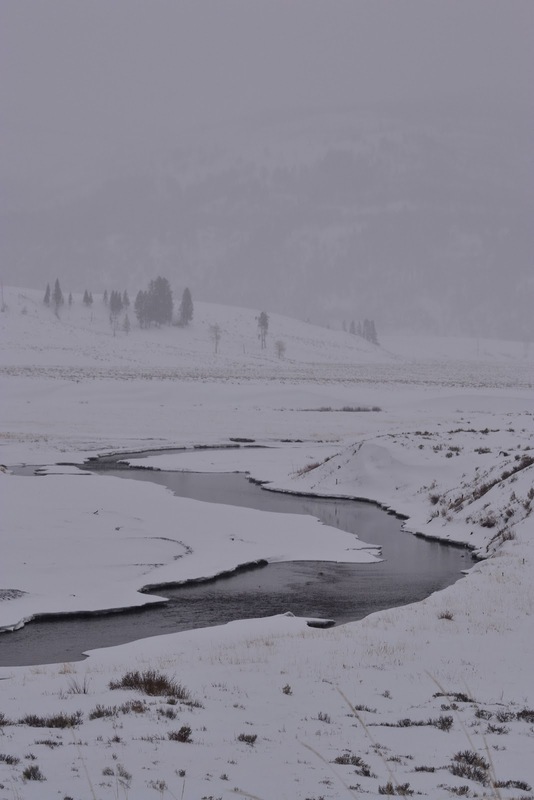 As I drive through the park, I enjoy the wintery sites of Lamar Valley, and the great Rocky Mountains of the Beartooth range. 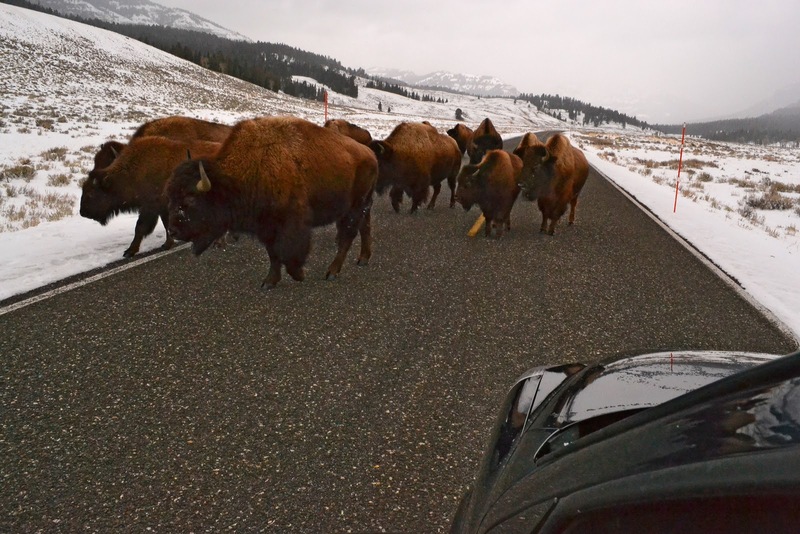 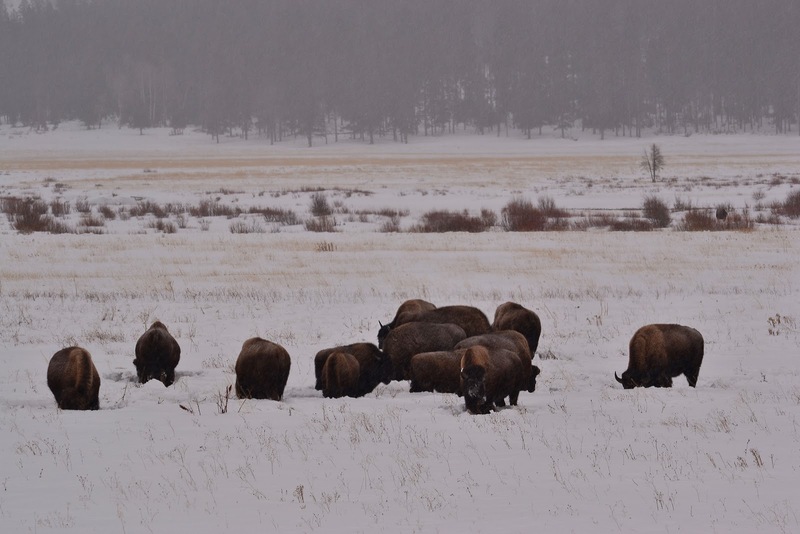 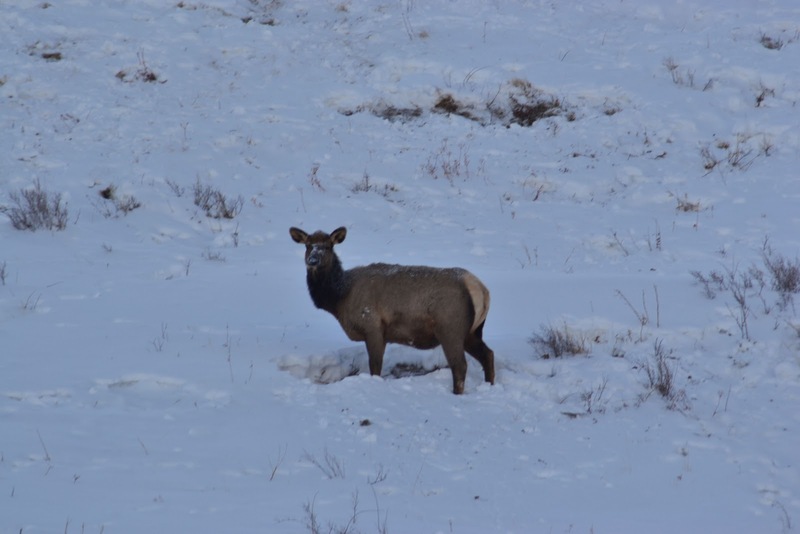 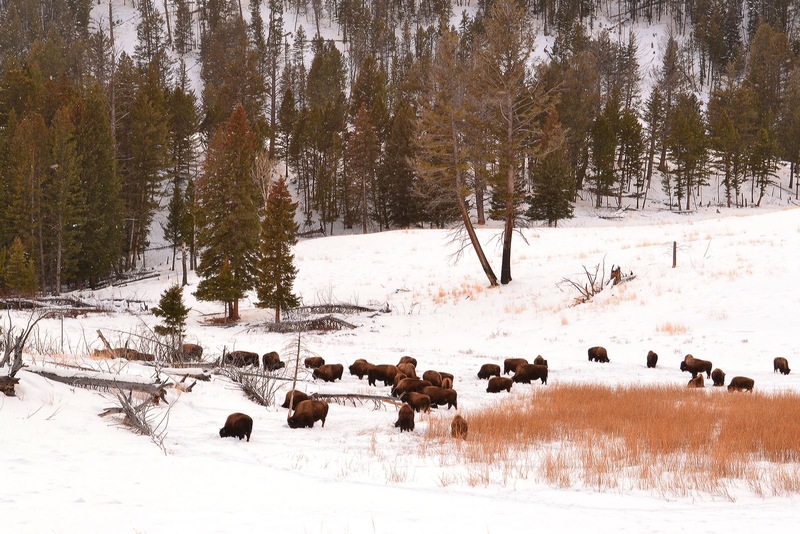 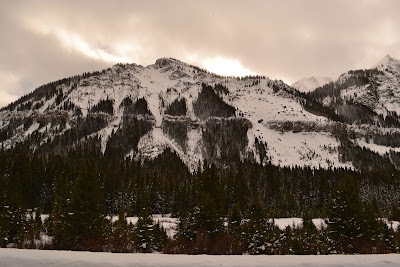 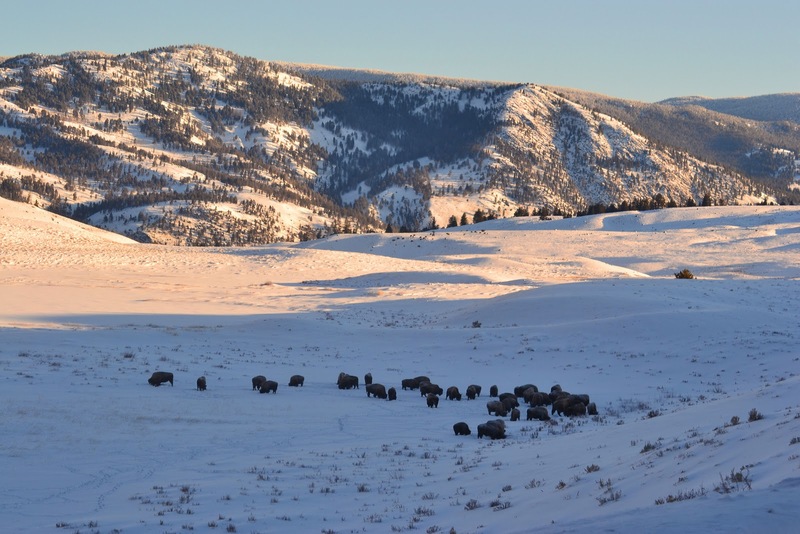 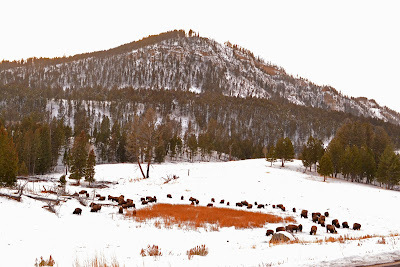 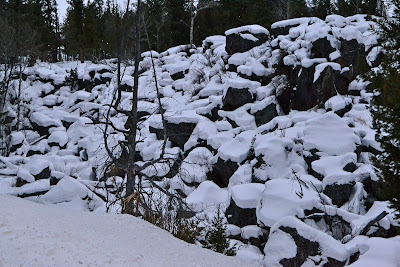 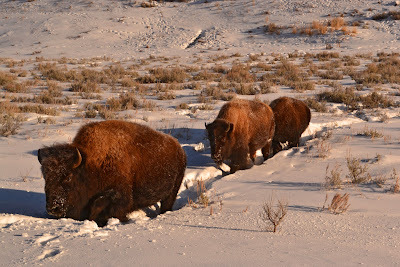 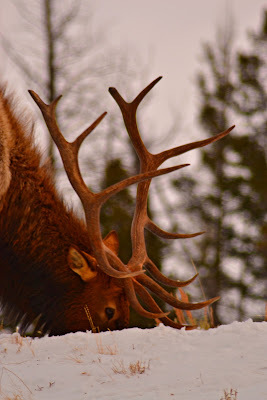 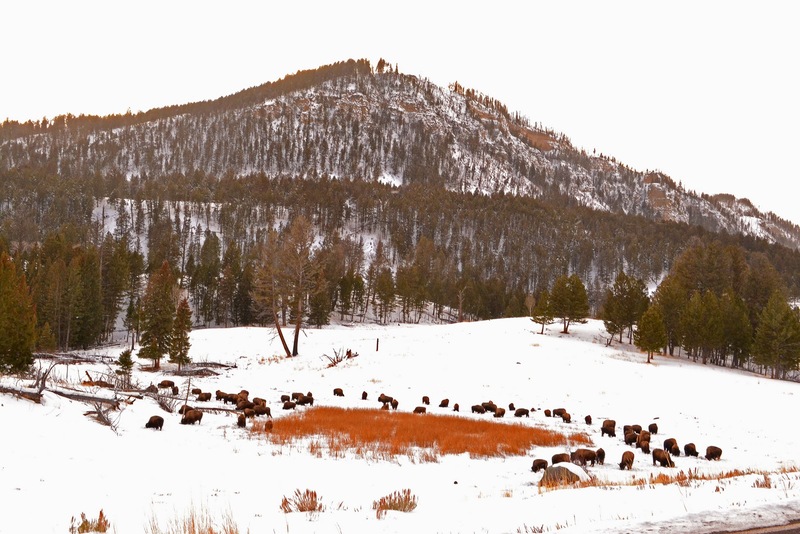 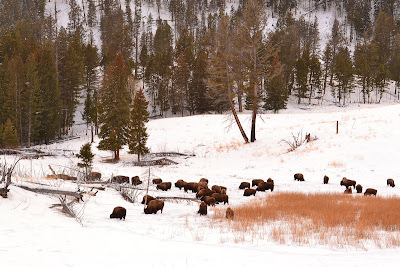 I slowly inch my way through buffalo herds on the road, snow storms and icy curves. 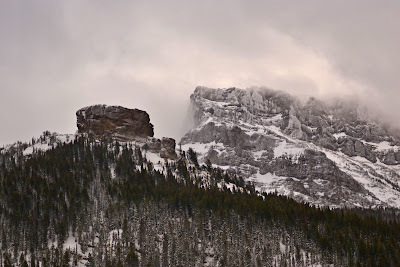 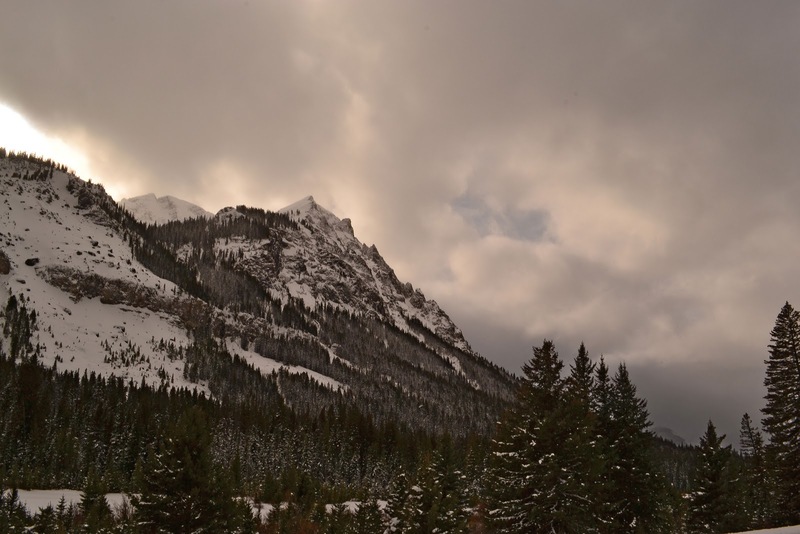 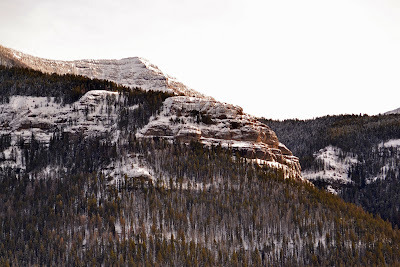 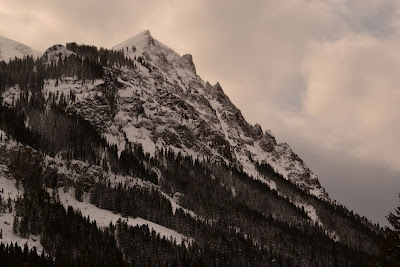 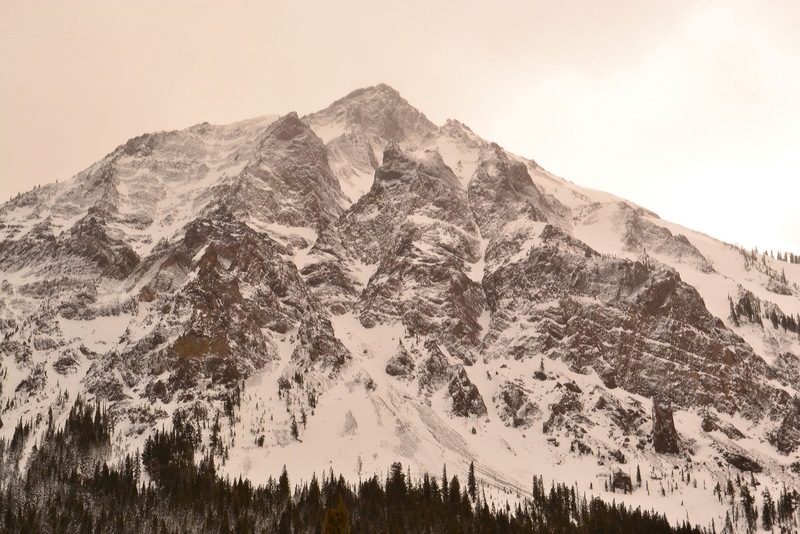 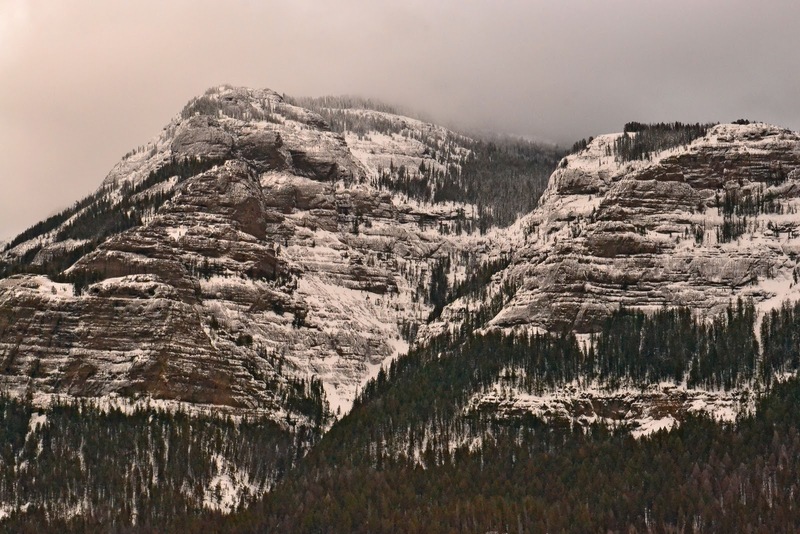 It seems as if the snow never stops falling in Cook City, but every once in awhile it clears up and you can see the great peaks and rock faces peaking through the clouds. 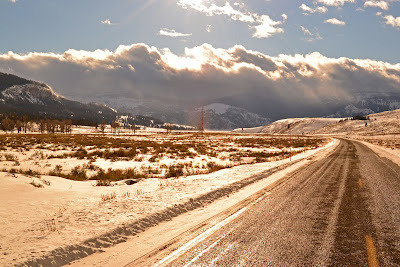 Enjoy my drive with me this week. 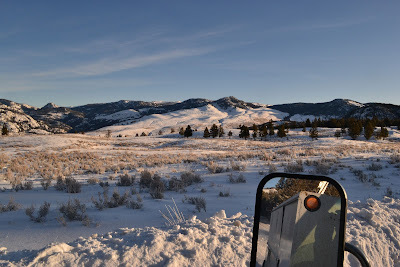 ran circles around my truck in a fit of fun. 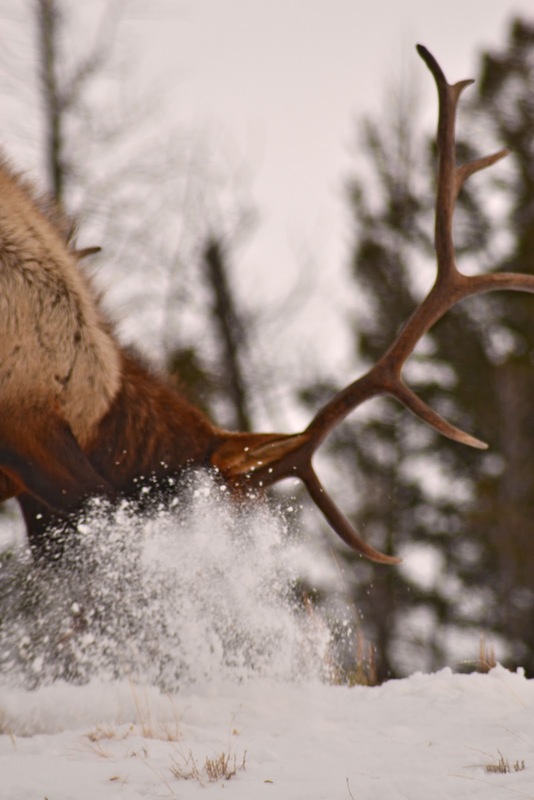 Bull elk hacking his way to dinner.